Honda NSX 3.5 V6 Hybrid Auto Review and Deals 2019 | What Car? 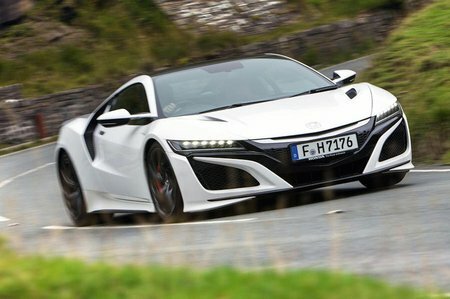 Combine a 3.5-litre V6 turbocharged petrol engine with an electric motor driving the rear wheels, plus two more electric motors providing power to the front wheels, giving a total 574bhp, and of course the NSX is quick. Yet the added weight of the hybrid battery and electric motors makes it relatively slow next to its chief rivals. The slick nine-speed dual-clutch automatic gearbox and four-wheel drive ensure the NSX an easy car to drive.